Dr. Aaron Koller is an assistant professor of Bible in Yeshiva College. 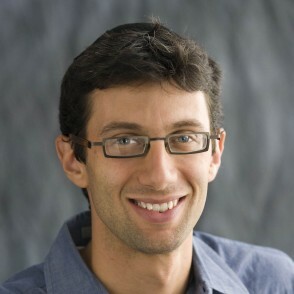 Aaron received his doctorate in Bible and Semitics in the Revel School of Jewish Studies after doing coursework at the University of Pennsylvania and YU, where he focused on Semitic and other Near Eastern languages and Iron Age history, while also studying linguistics, Bible, Levantine archaeology, and Second Temple and rabbinic Judaism. He also has a strong interest in contemporary ethical thought. He has written papers about Aramaic dialects and the Dead Sea Scrolls, and also teaches classes on biblical interpretation and history at the Drisha Institute. Where did the Alphabet Come From? How do we Know What a Biblical Hebrew Word Means?